Trying to gain weight? Don’t gobble down double cheeseburgers and family-sized pizza. Instead, stuff your meals with healthy food to gain weight the right way. 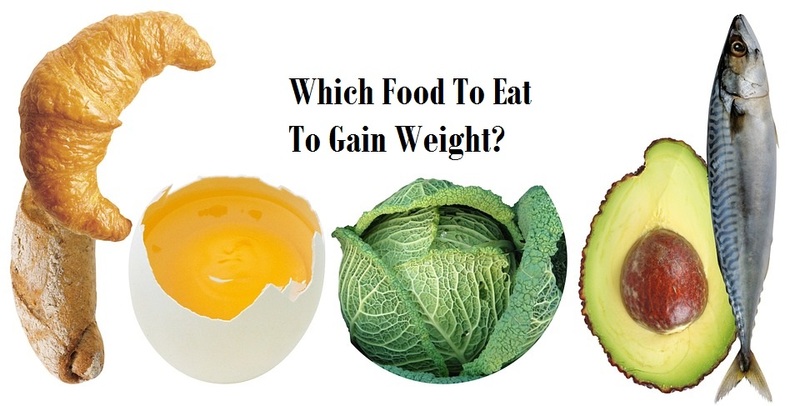 If your doctor advises you to eat more food to gain weight, you are one of the few “lucky ones”. Your friends might slightly envy you, because while most of them are skipping dessert to maintain their sizes; you, on the other hand, can’t make up your mind between blueberry cheesecake and tiramisu—so you might just have a slice of both. But have you ever met someone so skinny you’d never thought they had high cholesterol, hypertension or diabetes? Like you, they were once the “lucky ones”, too—only not so lucky now. Trying to gain weight is indeed a far easier task than losing it; but if you’re not careful, unhealthy food choices can permanently ruin your health. Yes you are lucky because you can eat anything you want without having to switch sizes; but this also means that sugar and cholesterol could be piling up in your bloodstream without your body giving a fair warning. So instead of grabbing unlimited soda, chips, burger and pizza—choose from our list of food to gain weight the healthy way. These foods provide the calories you need to gain weight without putting your health on the line. Underweight? Choose From This List Of Nutritious, Calorie-Dense Food To Gain Weight. One cup of diced avocadoes contains 240 calories and about 18 grams of unsaturated fat (code for “healthy fat”). Aside from calories, it also contains generous amounts of fiber, folate, vitamins E and K, B-vitamins and vitamin C. Mash them with eggs to make a breakfast spread, dice and spice them up for guacamole or blend it with milk and honey for a milkshake—this fruit is also very versatile, you won’t run out of preparation ideas for it! When it comes to adding on weight, avocadoes aren’t your only fruits of choice. Tropical fruits such as banana, mango, papaya and pineapple are also rich in natural fruit sugar, which make them a great dessert choice for people trying to gain weight. Peel and slice them for dessert or blend them with ice and milk for a refreshing fruit smoothie. Instead of munching on chips or candies, nuts should be your number one choice of snack. Tree nuts such as almonds, pecans, walnut, cashew and pistachio are generally high in protein, healthy fat and fiber. Set aside half a cup of oil-roasted mixed nuts on your desk everyday for a nutritious, 400-calorie substitute for empty calories. When trying to gain weight, there’s no harm in swapping your regular low-fat or skimmed milk with its richer, creamier version. Whole fat milk contains about 150 calories per cup; and is packed with more fat-soluble vitamins such as vitamins A, D and E. Enjoy it with your breakfast cereal or as a shake with any of the fruits mentioned above. As you try to increase your weight, you should also pack on natural, healthy carbohydrate foods—such as potatoes. One medium-sized potato contains about 160 calories. Best eaten unpeeled to retain more fiber, potassium and iron—this root crop should be a dinner staple for those who are trying to gain weight. Slice them into wedges and bake with some olive oil, parmesan cheese and paprika for a great dinner side dish or afternoon snack. One slice of whole wheat bread contains about 70 calories. Whole wheat bread will also give you the benefit of better digestion since each slice contains about 2 grams of dietary fiber. Use 2-3 slices for your breakfast or lunch sandwiches for sustained energy throughout the day. One tablespoon of peanut butter contains about 95 calories. Best toasted with a slice of whole wheat bread, peanut butter is also a great choice since it is rich in protein and fat. Go for the all-natural varieties that contain less additives and more real peanut in it. With natural peanut butter, you can get the full benefits of protein, iron, vitamin B6 and magnesium. With all these healthy and delicious choices of food to gain weight, putting on more weight should now be more enjoyable and guilt-free for you.